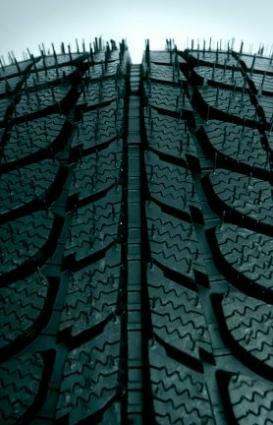 Before you head out to the tire store, consider looking up SUV tire reviews. Tires are an important part of your car's safety and performance, so it's essential that you get the best tires you can afford. How Are SUV Tires Different? Buying tires for an SUV is a bit different than buying tires for a typical car. That's because many SUVs are designed on a truck platform, giving them larger wheels and heavier bodies. Additionally, many SUVs are designed to pull a trailor or carry a heavy load, which puts additional traction strain on the tire tread. When shopping for tires for your SUV, you'll want to make sure you know the tire size and type recommended by the manufacturer. You can find this information in your owner's manual. Depending on whether you have four-wheel drive and live in a snowy or icy climate, you might also want to consider winter snow tires for your SUV. Some two-wheel drive SUVs have trouble on slippery roads, and these winter tires are designed to improve traction and increase safety. The Internet is an excellent resource for SUV tire reviews and ratings. Since so many users share their experiences online and professional reviewers post write-ups on specific models, you can compare your options with relative ease. ConsumerSearch.com uses a combination of consumer reviews and professional testing to determine the best SUV tires on the market. You'll see where other people have had problems with specific tire brands or where a tire has performed especially well. TireRack.com is a noted tire retailer that also provides tire buying advice and reviews of specific models. This can be a good place to look for ideas on which tire brands and models are best for your SUV. Consumer Reports reviews most tire brands and models and makes recommendations. Reviews focus on dry and wet braking, noise, tread life, handling, snow traction, ice handling, comfort of ride, and other factors. Although this is a paid subscription site, it may be worth a one-month subscription to access these reviews. TruckTrend.com has an article about choosing tires for your SUV. Although the reviews in the article may be somewhat dated, the information presented will be helpful to you in your search. Sears.com is another good resource for tire reviews. Although the company sells tires, you can find unbiased user reviews on the individual products. This can be a good way to see how a specific SUV tire is handling for consumers in your area of the country.